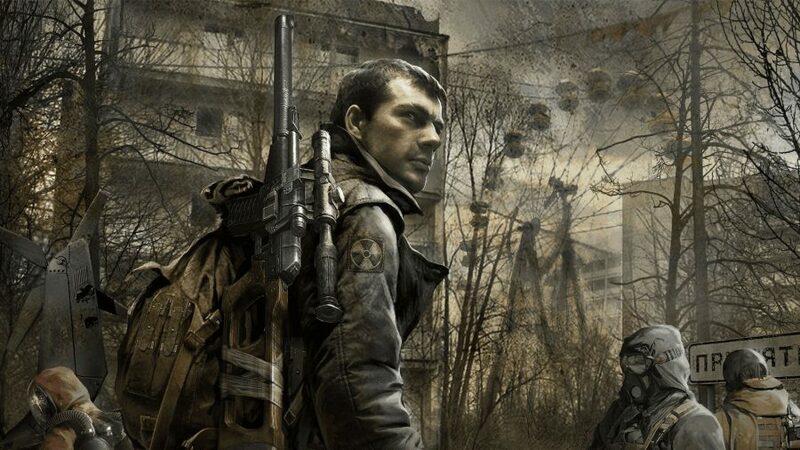 It’s been nearly a decade since the launch of STALKER: Call of Pripyat, the last of Ukrainian studio GSC Game World’s trilogy of bleak and atmospheric open-world survival shooters. It is memorable for being set in a fictionalised and incredibly haunted vision of the Chernobyl Exclusion Zone, which is not only irradiated but overrun with reality-warping anomalies and mutant monsters. The series puts you in the shoes of freelancing mercenaries – the titular STALKERs – wandering this horrific environment in search of fame, glory, or perhaps just a big payout. STALKER has developed a strong modding scene with an appropriately devil-may-care attitude regarding the reuse of each other’s work, and even the legal status of the games themselves. It would be foolish to try to summarise even half of the mods produced, so instead, let’s take a look at the three titanic projects that define the STALKER mod scene as it stands today, each one built on a foundation of dozens of smaller projects and two standalone releases. The original STALKER: Shadow of Chernobyl was a bit of a mess. The result of years of protracted development hell, it was buggy at launch, and had swathes of planned content left on the cutting room floor. Lost Alpha is a community passion project that picks up the pieces. It is the result of poring over details from leaked test builds of the game, design documents, and early magazine previews, from which the fan team then assembled their own version of the game. This is the game STALKER could have been. Despite retelling the story of the original game, albeit with a few more cutscenes and quests to improve coherence, Lost Alpha introduces a slew of new features. 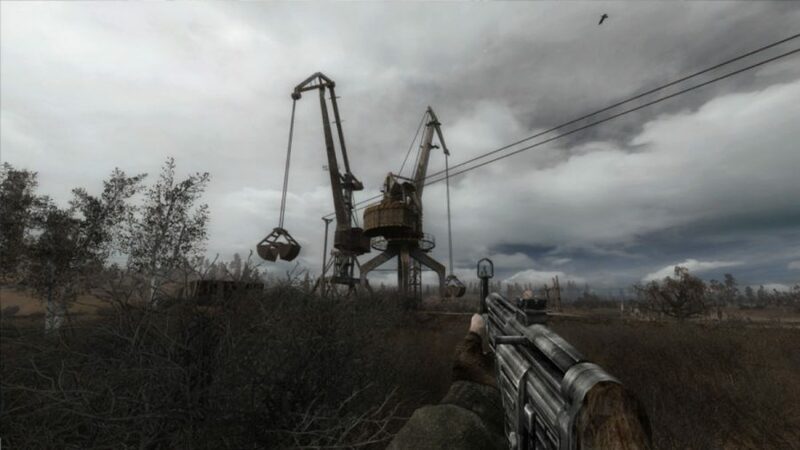 The majority come from later games in the series – Call of Pripyat’s weapon upgrade system, for example – but many are entirely new. The most liberating is the ability to purchase and maintain vehicles to drive around the greatly expanded world map, while the larger environments allow more room for the AI factions to live and breathe, lending the Zone a new and unpredictable edge. Lost Alpha also tries to increase immersion through basic survival simulation aspects. Food, water and sleep are important, although not as demanding or frustrating as they initially sound. Inventory management is a little more complex too, with your backpack and combat-accessible toolbelt (make sure you put your bullets in there) becoming separate panels. The end result is both nostalgic and exciting for what it adds, while also becoming more accessible for newcomers – an aspect underscored by the inclusion of a slickly-produced PDF manual. Lost Alpha is a visual treat so long as you’ve got a PC capable of running it. Built on a much later release of the original’s X-Ray engine, you’ll need a beast of a rig to dial the game up to its higher settings, but it is scaleable enough as to run decently on just about any recent gaming PC. That said, an SSD helps mitigate some long load times enormously regardless of your machine. Call of Chernobyl is the most straightforward of the big three STALKER mods. As far as game mechanics go, it is as plain as they come, and no more advanced in the graphics department than Call of Pripyat. But that is not a mark against it given that the main appeal of this mod is found elsewhere: CoC is a huge, non-linear sandbox. It is an ideal next step for players who have completed at least one game in the trilogy and now want to explore. Call of Chernobyl features a huge non-linear world consisting of every map from all three original games, plus several all-new environments. While there is an optional Story Mode offering some direction, it is easily eschewed in favour of more free-form play. Pick a character from any faction, complete missions, explore, and scavenge. 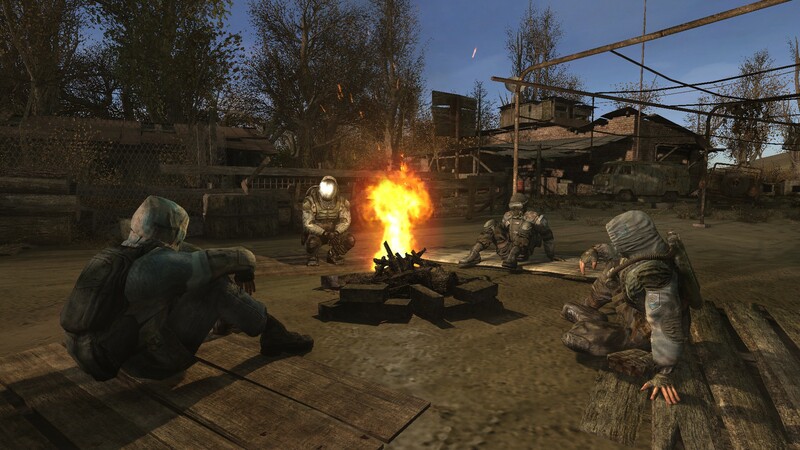 It is the core elements of STALKER without any of the fluff, and lets the AI factions – human, monster, and animal alike – do their thing unrestricted, capturing locations, getting into fights, and generally making the world feel alive. 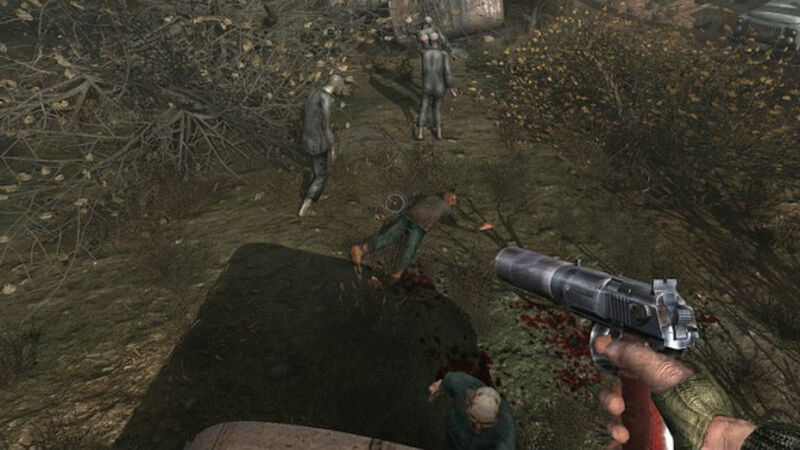 Call of Chernobyl features a few alternative play modes, including a zombie survival scenario, but the best of them is absolutely Azazel mode. It is part roguelike and part quantum leap, in which dying immediately transplants you into the body of your nearest squadmate – or a random NPC if you haven’t picked up any friends. It is not uncommon to find yourself on the opposite side of a battle after death, or even in the shoes of the man who just killed you. Dying in games is very rarely this exciting: one untimely death might lead into a dangerous (and potentially ironically lethal) quest to find your previous loot-laden corpse. Rather pleasingly, Call of Chernobyl also has a burgeoning mod scene of its own, with add-ons ranging from weapon packs to AI overhauls, and quite a few rebalances. You are free to tweak, tinker, and tune until you get the STALKER sandbox you are happiest with. Billed as a ‘full-concept modification’, Misery lives up to its name. Picture it as a gruelling depiction of a life scavenging for money, ammunition, and meaning in a hellish wasteland that chews up and spits out human spirit. Get used to seeing the world through the grimy, damp visor of your helmet, with only the barest hints of a HUD to orient you in the world and help you manage the minutiae of daily life in the Zone. As depressing and bleak as Misery is, it is an often gorgeous-looking mod, especially in terms of texture detail and lighting. This comes at the cost of higher detail settings absolutely trashing even high-end gaming PCs – beyond even Lost Alpha’s efforts. But at least you can watch the developers’ live-action intro video before your rig crashes. The short further drives home the desperate, lonely atmosphere of Misery, instilling a sense that the devs have suffered to create this art, and want you to suffer with them. The STALKER games were never easy, but Misery is positively cruel. For less masochistic players, the mod does offer reduced difficulty with ‘Rookie’ mode, which you can choose during installation. Lower AI weapon accuracy, reduced damage taken, and a slightly less brutal economy does drastically raise your survivability, but only to the point of it taking two or three solid bursts of gunfire to kill you instead of just one. To enjoy Misery you must immerse yourself totally in the harrowing situation, both in and out of combat. Long-term survival requires you to strip old weapons for parts and use precious glue and fabric to maintain your own equipment. There are a thousand fiddly pieces added here and an absurd number of new items to use or sell. It is intense and demanding, but given that it is currently ranked as the single most popular mod on ModDB, there is clearly a market for this bleak survivalist simulation. The Misery team’s ambitions don’t end there, either – with the release of version 2.2, they now plan on officially porting their mod to support Call of Chernobyl, in all its free, standalone enormity, effectively creating a sprawling gestalt hybrid. A true standalone sandbox simulation of life in one of the worst places on Earth imaginable. If nothing else, Azazel mode will help the bitter pill of sudden death go down a little easier.